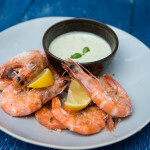 Salt-Grilled Shrimp with Lemon Basil Dipping Sauce with Bart’s Fish Tales! Bart Van Olphen is an expert on sustainable seafood, and we are so lucky that he offered to meet with me to teach me how to peel and prep shrimp! 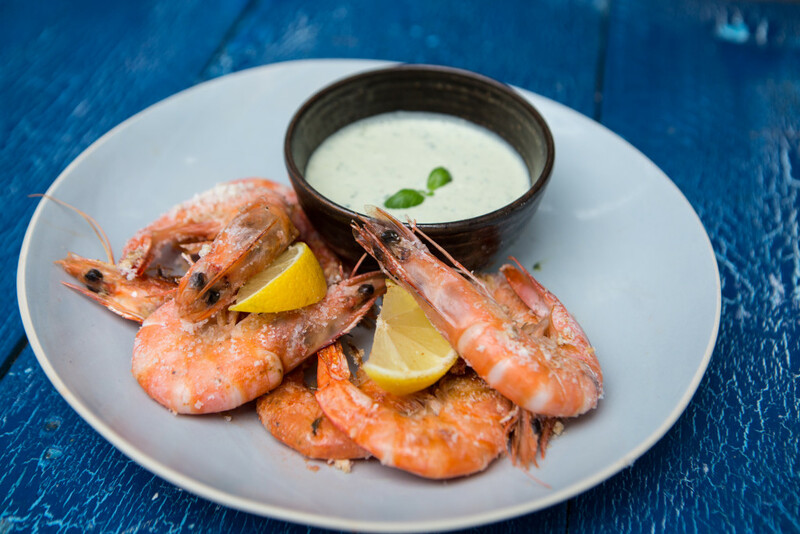 Along the way, we made an amazing salt-grilled shrimp (Gambas a la Plancha) and we paired it with my Lemon-Basil Dipping Sauce. 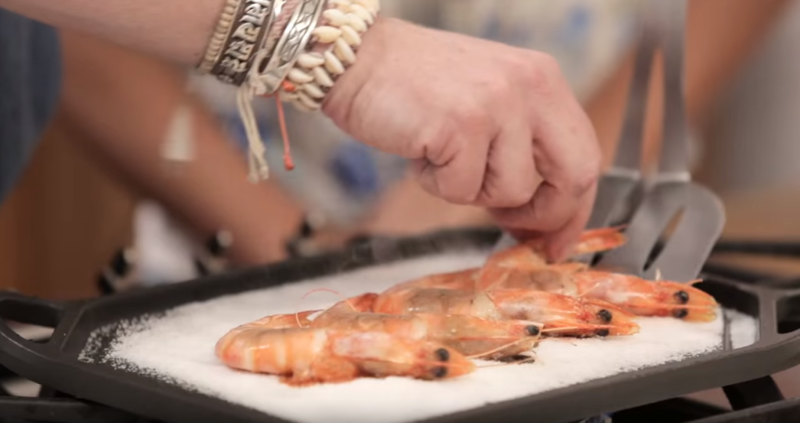 It was absolutely delicious – and all you do for the shrimp is to cook it on a bed of salt! You have to check out this video to see how amazing this cooking process is. The shrimp turned out so moist and juicy! I was really blown away. Bart is so nice. We had such a great time! I couldn’t believe how much salt we were using, but that’s before I realized the salt is supposed to make a little bed for the shrimp. It was SO COOL to cook shrimp this way! 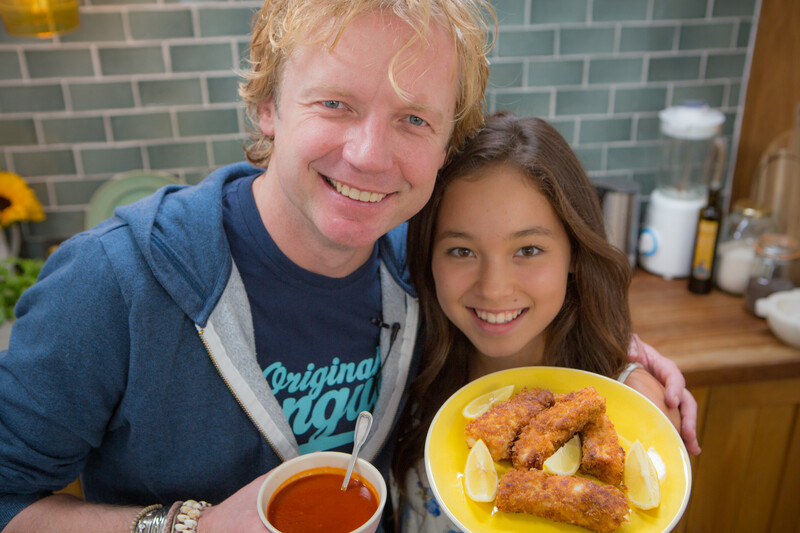 Then, Bart showed me how to make homemade fish sticks with homemade ketchup – lucky me! It was so easy to make, and it was so delicious. Everyone in the studio wanted more! I learned so much – thank you so much, Bart! 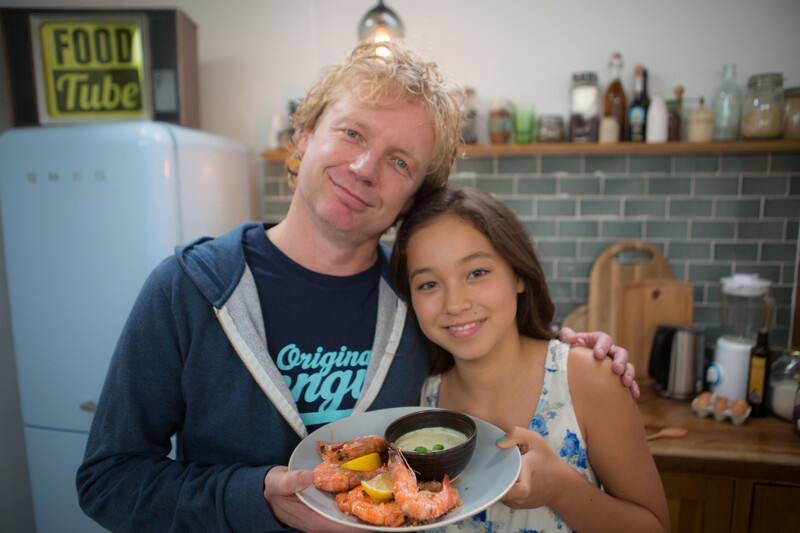 Be sure to check out Bart’s Youtube channel, it’s full of delicious seafood recipes. He knows what he’s talking about! Below are the recipes for Salt-Grilled Shrimp with Lemon Basil Dipping Sauce. Enjoy!